Successful project management is vital to our organizations today and directly affects the bottom-line profit. Eighty-five percent (85%) of all projects are not successful, they are either delivered late, over budget, or the deliverable does not fully meet the intended scope. 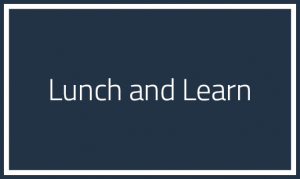 The purpose of this lunch & learn is to discuss the importance of project management in today’s competitive market and to provide foundational tools that will enable participants to more effectively manage their projects. The take-away from this session will provide the participant with the six basic steps of project management that are critical for project success. For those interested in becoming certified in project management, we will also discuss the Project Management Institute’s (PMI) certification process and requirements. In addition, we will discuss project management training and how to best reach your project management goals.